Still Great at 232 Years. Posted on April 3, 2015 | Comments Off on Still Great at 232 Years. 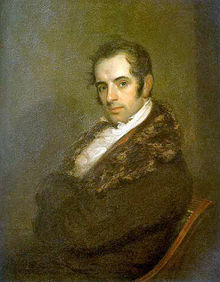 Happy Birthday to Washington Irving, born on this day in 1783. Celebrate his birthday by reading a great American short story–for he pretty much invented the form, you know. Comments Off on Still Great at 232 Years. 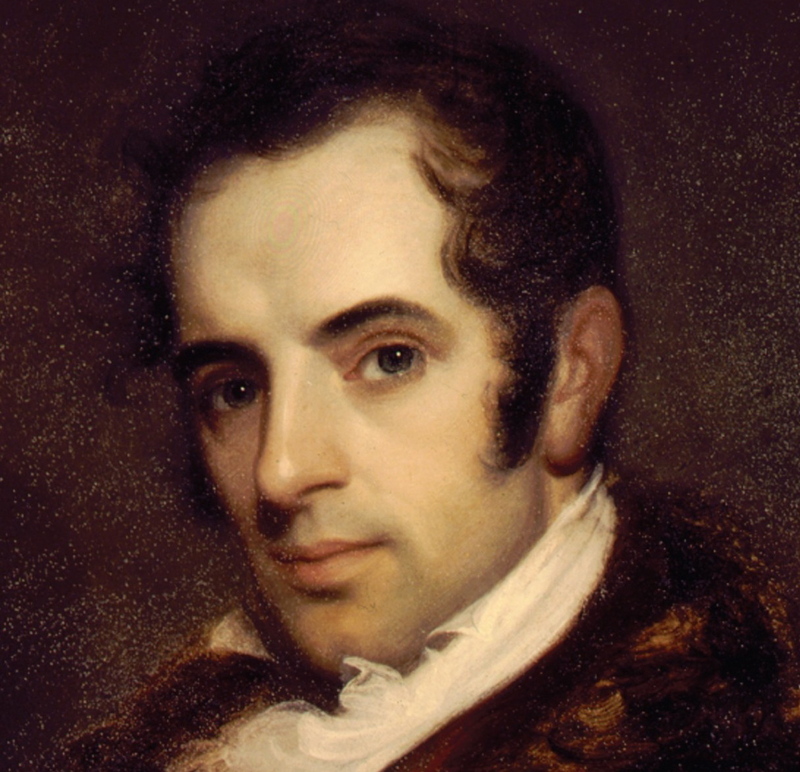 I had a terrific time talking Washington Irving on The Diane Rehm Show this morning. “The Legend of Sleepy Hollow” was (appropriately) chosen as the book for their monthly “Readers Review,” and I sat on a panel with two incredibly sharp experts on literature, film and media, professors Caetlin Benson-Allot of Georgetown and Sian Silyn Roberts of Queens College. Me, I was there mostly to provide the background on Irving, though I did get to chip in and comment on the story every once in a while. I was also fascinated by the interest in how Irving may have come up with the name Ichabod Crane — it was the topic of both an e-mail that was read on the air as well as a phone call. It was fascinating to hear that the name has a Hebraic origin, but when it comes to Irving . . . well, I’ll let you listen to the show and you can hear what I had to say. If you missed it, not to worry: you can listen to the entire show right here. And if you’re listening, and wanna know exactly which version of “Sleepy Hollow” we’re reading from and want to read along, it’s this one. Urgh, I continue to be the worst. Blogger. Ever. Hi, everyone. How ya doin’? 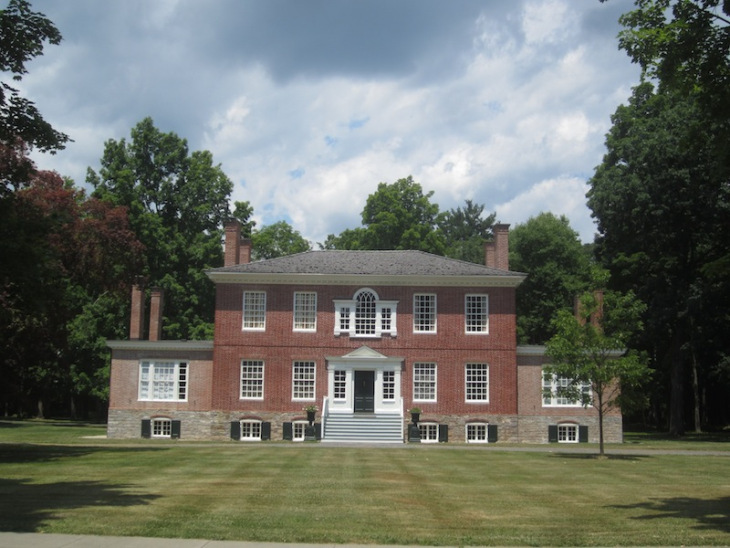 This is a local landmark, the Burgoyne House, where British general John Burgoyne was held after his capture by Benedict Arnold. Arnold, however, had to stay at a very nice, but much smaller, house just down the street. Which probably explains a lot about what happened later. I spoke that afternoon at the Reformed Dutch Church, where I talked about Irving’s version of the Dutch history of New York. Afterwards, I was asked several really good questions, and only slightly disappointed the home town crowd when I informed them that Kinderhook was probably not the Sleepy Hollow of Irving’s famous tale (Had I been a bit faster on my feet, I’d have said that every place is Sleepy Hollow. But it was hot.) Afterwards, we retreated to a reception at the old Jesse Merwin house, which at one time belonged to the historic figure who actually was the inspiration for Ichabod Crane. All in all, a lovely weekend — and I even got to bring Barb with me. I’ve got several events coming up in the next few months, which I’ll post under the News tab as well. First, I’ll be speaking at the University of Maryland — Jim Henson’s alma mater, for those of you playing at home — on Friday, September 12, as part of the university’s parent’s weekend. I’ll be at the University Book Center at Stamp Union, starting at 6:30 p.m. In October, I’ll be attending the James River Writers Conference down in Richmond, Virginia, for three days (October 17-19), and I’ll be giving my hour long Jim Henson show on Friday night, October 17, as part of the many kick-off events. If you’re anywhere near Richmond that weekend and love books . . . well, it’s something you’d probably wanna do. In November, I’ll be back at the University of Maryland (in association with the Prince George’s County Historical Society) to talk Jim Henson on Sunday, November 2, from 2:30 to 4, at the Hornbake Library. Finally, on Wednesday, November 5, I’ll be making my long-overdue appearance at the New York Public Library’s Mid-Manhattan Library, at 6:30 p.m. I’m very excited about this one, especially as the library and I went back and forth for a long time trying to find a date that worked. So, remember that Today show appearance that was on the schedule, then off, then on, then off again? Well, it’s back on — but I won’t be live in studio. Instead, I spent most of the day yesterday working with a crew from NBC, being interviewed on camera by Willie Geist for a longer feature they’ll be doing on Jim — and his biography — for Today. I was also very fortunate to have Frank Oz with me — and while we won’t be sitting on the couch together, he very graciously sat for a 40 minute interview, and said lots of wonderful things. Afterwards, we spent the rest of the afternoon over at The Jim Henson Company workshop and archives, where Karen Falk and I talked about some of the countless terrific items Jim kept and filed away, which were invaluable for my research. It should be a fun piece — Willie Geist is a big fan of Jim’s — and I’ll let you know when it’s going to run. Right not, they’re aiming for October 15, but that could change, depending on how fast they can edit everything together. That was yesterday. Then this morning I was up early to head over to a nearby studio to chat remotely with an NPR station in Boston to talk about . . . (wait for it) . . . Washington Irving. The new Sleepy Hollow TV series (which I dig) has sparked something of an Irving revival — and is apparently driving lots of gawkers toward the little town on New York’s Highway 9 — so we spent the morning comparing Irving’s tale with the the TV show, and speculating on whether Irving would enjoy it (as a great nicker of other people’s tales, I think Irving would get a kick out of it, actually). I’m not at all surprised by the revived interest. One of the leading search terms driving people to my website — after “Jim Henson,” of course — is “Is Legend of Sleepy Hollow real?” (which keeps sending people here). Finally, in just a few hours I leave for The Daily Show with Jon Stewart. Holy cow. Shameless Self Promotion of the Month! Posted on December 15, 2011 | Comments Off on Shameless Self Promotion of the Month! In the event you still want or need Washington Irving on your Kindle or Other Electronic Device, it’s now on sale for the wondrously low price of $2.99 over on amazon. TWO NINETY NINE. C’mon, it makes a great virtual stocking stuffer. Or something. Comments Off on Shameless Self Promotion of the Month! Once again, when I wasn’t looking, Washington Irving went galloping into yet another format. It’s now available as an e-book in the Kindle format—so you can read it on your iPad, so long as you have the Kindle app—and you can download it for a mere $9.99 right here . If you’re one of those folks like me who still lives the analog life and prefers a physical book you can hold in your hands, the paperback version will be available on November 15. School must be back in session, because the terms “cliff notes legend of sleepy hollow” are driving people here in droves. It’s not Cliff’s Notes, but I did talk a bit about Irving’s story right here. But really, just go read Irving’s story. It’s short (Irving’s called the Father of the American short story for a reason). And if you base your paper on the Johnny Depp movie, you’re in big trouble. Just sayin’. An event I’ve been waiting to announce has at last become officially Official—but before I post it, I need to give you a bit of context first. 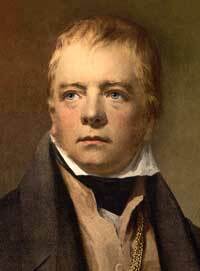 In 1817, Washington Irving spent several days with his literary idol, Sir Walter Scott, at Abbotsford, Scott’s stately home near Melrose, Scotland. At the time, Scott was known more for his romantic poetry than his novels, though at the time of Irving’s visit, Scott was reviewing the proofs of his historical novel Rob Roy, part of his popular Waverley series. Three years after Irving’s visit–right around the time Irving was enjoying international success with the publication of The Sketch Book—Scott published a blockbuster of his own, another installment of the Waverley series, the medieval adventure novel Ivanhoe. Featured prominently in Scott’s story is the character Rebecca, the beautiful daughter of a Jewish moneylender, as well as a healer who saves Ivanhoe and is later tried–and, with the help of Ivanhoe as her champion, cleared–of charges of witchcraft. Rebecca doesn’t get Ivanhoe in the end—he marries the Lady Rowena instead–but to most, Rebecca is the heroine of the novel. She was also a strong Jewish character in a novel written at a time when Jews were struggling for emancipation in England–and Scott’s sympathetic portrayal of Rebecca is credited by some as helping pave the way for reforms in English law that began to give Jewish citizens—or, at least, the men—the same status as other “emancipated” Englishmen. Why is that relevant here? This is where it gets interesting. 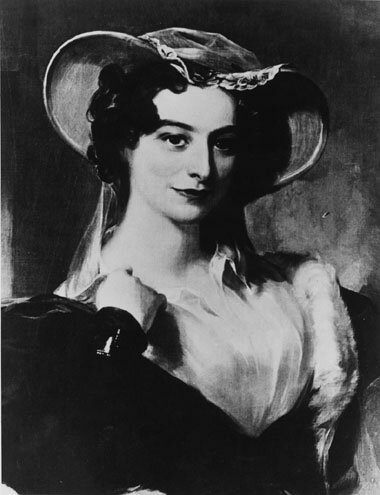 Shortly after the publication of Ivanhoe, the Jewish Philadelphia philanthropist Rebecca Gratz—who was also a friend of Washington Irving–was constantly being collared by friends who had read Scott’s novel and swore up and down that the character of Rebecca was based on her. Gratz had never met Scott, and Scott had never met Gratz. That left only a mutual acquaintance–the aforementioned Mr. Irving—who could possibly have told Scott about Gratz. But did he? Was Scott’s heroine indeed based on Gratz? And if so, did Scott learn of Gratz through Irving? On Thursday, March 3, Gratz scholar Susan Sklaroff and I are going to talk about it in a “speculative discussion” at the Rosenbach Museum and Library in Philadelphia. More information can be found on the Rosenbach’s website by clicking here. The discussion starts at 6:00 p.m., and if you’re in the City of Brotherly Love at that time, come by and throw in your two cents. This one’ll be fun. My thanks to Susan and the folks at the Rosenbach for inviting me. Susan also writes a fine blog on Rebecca that you can see right here. Check it out.